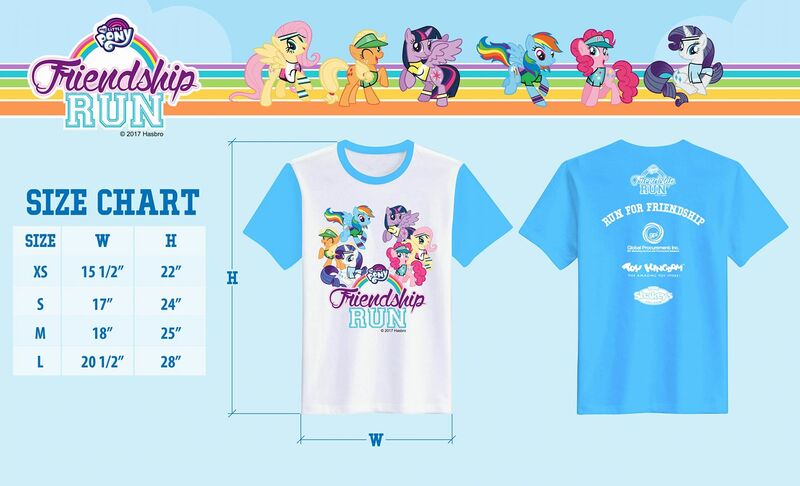 My Little Pony will conquer the big screen next month, but here's another reason for fans to rejoice. 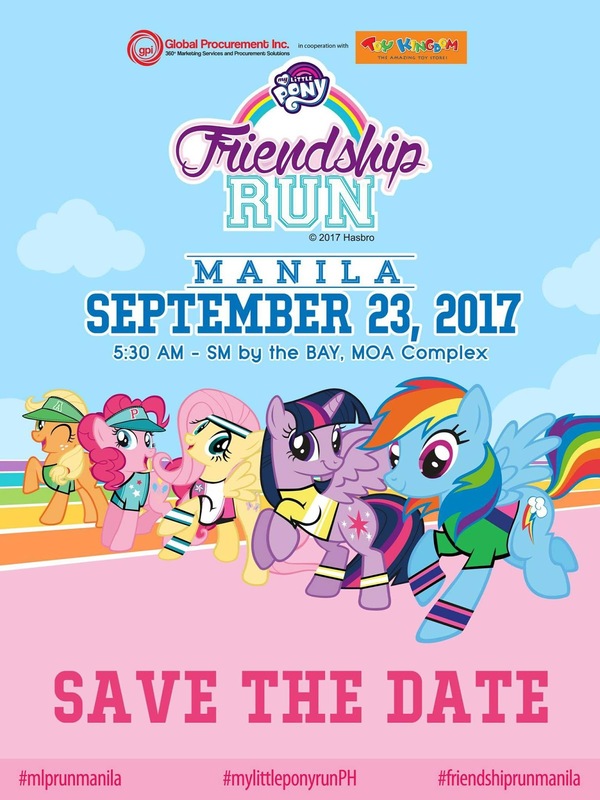 The 1st My Little Pony Friendship Run is happening on September 23 at SM by the Bay, MOA Complex. I know your kids or nephews and nieces are excited about this. I am, too! Sharing with you the five things that you should know about the run. I have always wanted to attend as many run events as I can. But if there's one reason why I sometimes have hesitations joining--it is because I have to wake up really early for the event. Yeah, call me lazy. 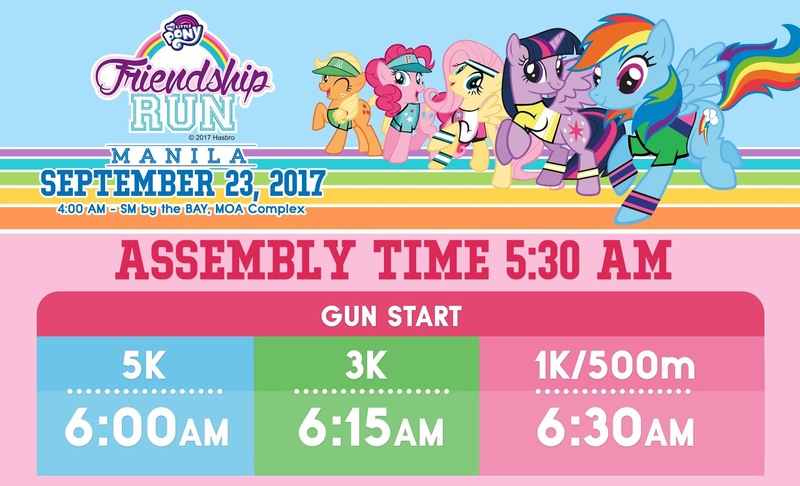 :P Well, the good news about the MLP Friendship Run is that they want the kids to enjoy the run and meet the ponies, so they moved the assembly time and the gun start. Cool! There are two ways to register for the event. 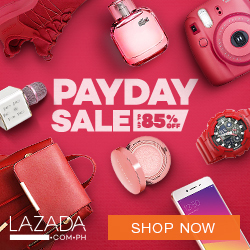 Save your slot online by visiting this PAGE. Race kits can be claimed at Toy Kingdom (SM North EDSA The Block, SM Megamall and SM MOA) from Monday- Sunday, 12NN to 9PM. Bring a valid ID and the screen shot/ printed payment confirmation when claiming the race kits. You can also register by visiting Chris Sports outlet at SM North EDSA Main, SM Megamall and SM MOA. 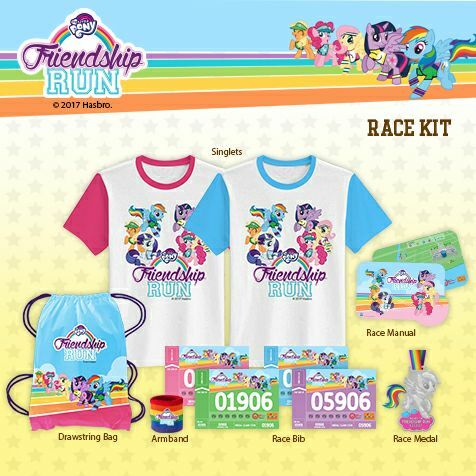 Race kits can be claimed at designated Toy Kingdom branches- just bring the fully accomplished claim stub from Chris Sports. 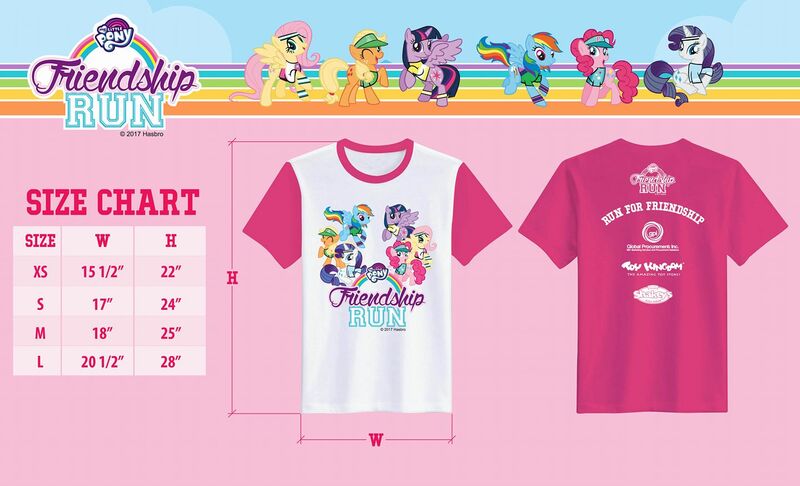 The race shirt comes in two colors- blue and pink! 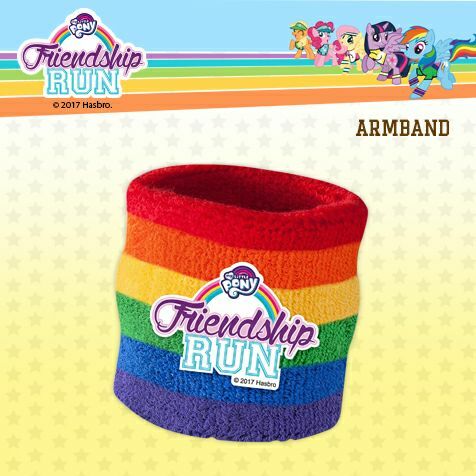 A closer look at the arm band.. Kids can join the 500m run at Php 700; the young at hearts can join the race at 5K for Php 1,000. Buddy and family package are also offered. Aside from the great bonding you'll have with your family and friends, there are still a lot of surprises that await the attendees of this run. 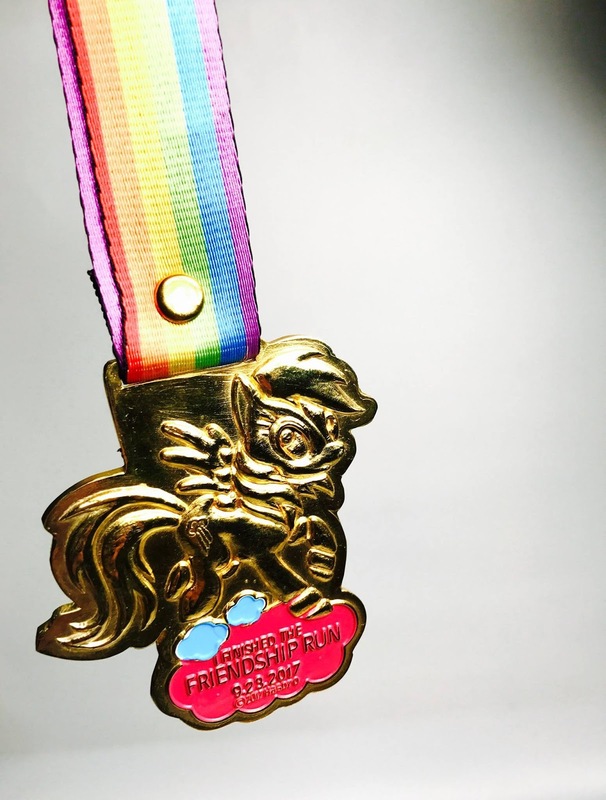 Finishers will receive a personalized My Little Pony medal. It is limited edition with a customized and embossed feature and a super cute lace. 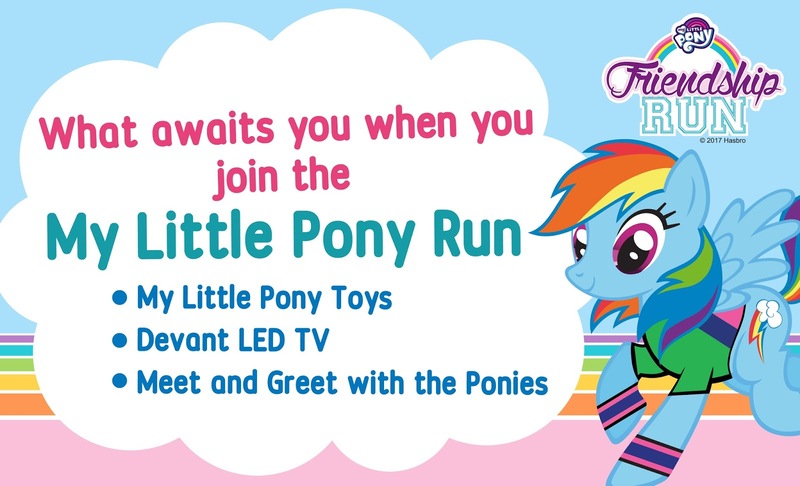 Also, have the chance to meet and greet the Ponies and win awesome My Little Pony toys and a Devant LED TV! 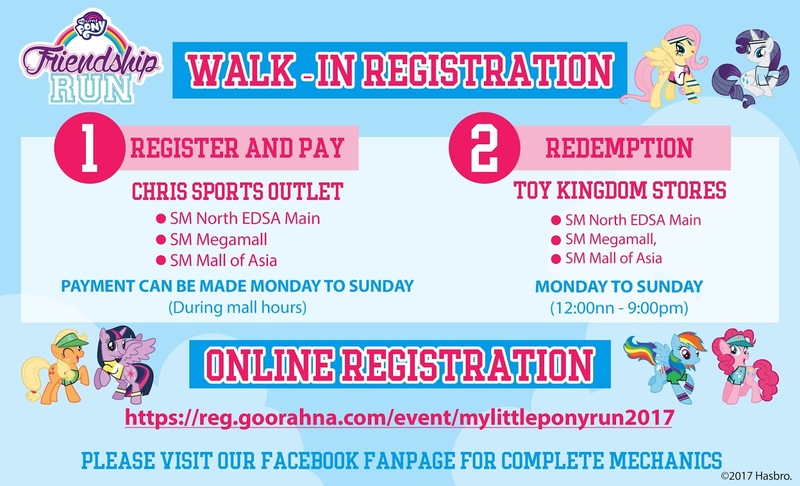 Register now and let's run together with the ponies on Sept. 23 at SM MOA Grounds. I already got my blue race shirt and I hope to see you there!